On a cold winter’s night in modern Tehran, a couple of young lovers run into a serious problem, and they have just a few hours to come up with a solution. They go from hospital to hospital in search for help, but none of the hospitals will admit the young woman and provide her with the medical attention she desperately requires. While they try hard to find a way to solve the problem, they have to hide what is happening from their parents. Moreover, their relationship is facing a crisis and will suffer dire consequences. Caught between conservative traditions and modern-day desires, the couple must face their uncertain future. 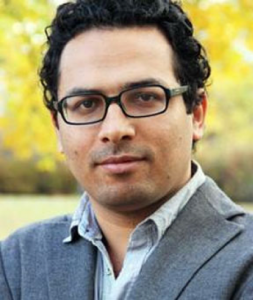 Ali Asgari was born in Tehran, Iran. He studied cinema in Italy. He is an alumnus of Berlinale Talent Campus 2013. Two of his short films BISHTAR AZ DO SAAT (2013) and THE SILENCE (2016, co-directed with Farnoosh Samadi) were in competition at Cannes Film Festival where they competed for the Short Film Palme d’Or. His short film THE BABY premiered in competition of Venice Film Festival in 2014. His short films were screened in more than 600 film festivals around the world, including Sundance, BFI London and Melbourne and won more than 150 international awards. DISAPPEARANCE is his first feature film. The script was developed at Cannes Film Festival’s Cinefondation La Residence.